The COOL TOUCH equipment uses a series of unique innovations. Protected with ozone, water retains all the salts and minerals essential for a human organism. 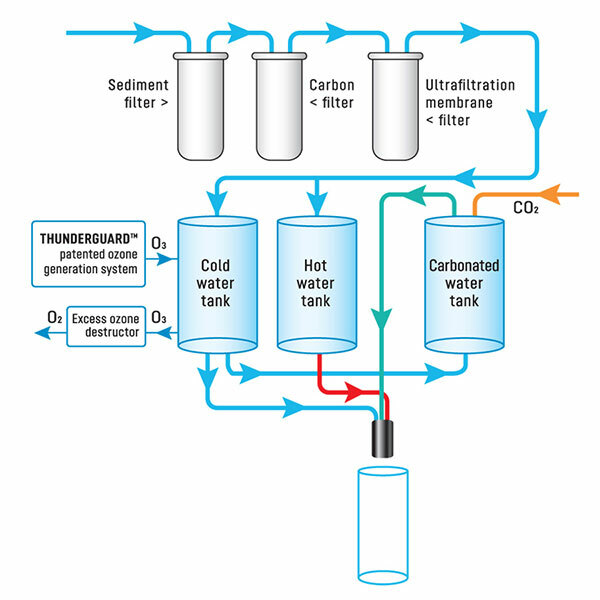 The ozone generator maintains the pressure necessary for water exchange in the inner containers of the equipment. This patented technology ensures a closed water supply cycle, effectively preventing the ingress of air from the outside and the air pollution. Currently, ozone-based water protection is the safest and most efficient water protection method, which is also environmentally friendly. 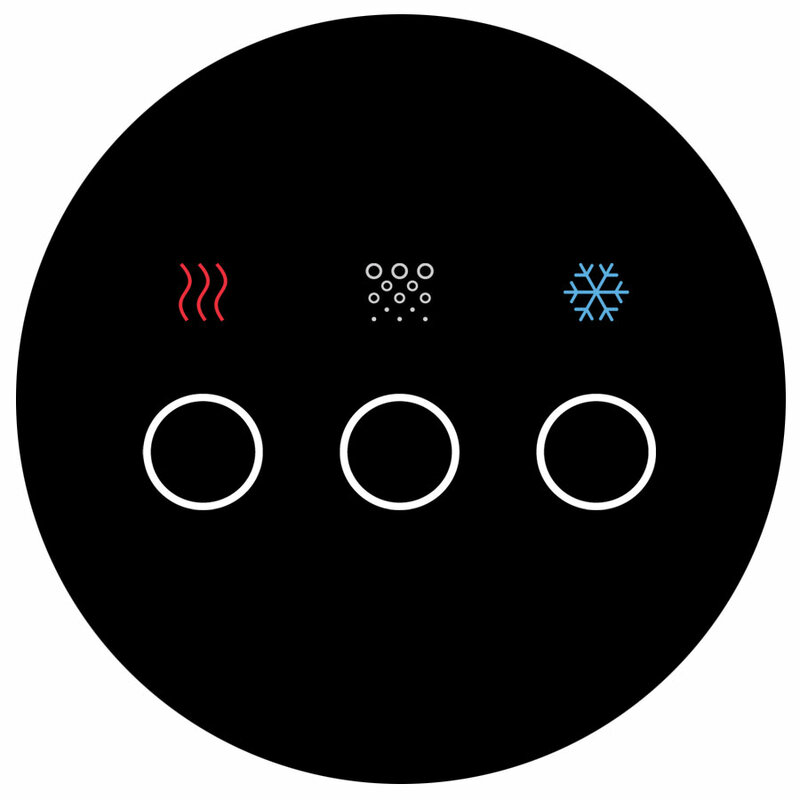 An innovate touch-screen display allows interactive control over the functions of the equipment and easy access to carbonated (CO2), cold (10°C) and hot (92°C) water. COOL TOUCH boasts a unique design, which is neat, practical, and elegant at the same time and adds a futuristic touch to any interior. The equipment is fitted with a flow carbonation saturation tank to produce carbonated water of outstanding quality. The unique programming system lets the user configure the motion sensors and the operation periods. The motion sensor can be programmed to shut down the equipment when there are no users around. Using the control unit, the equipment can also be programmed to shut down at night and at weekends, which considerably reduces power consumption. COOL TOUCH uses high-efficiency thermal insulation technologies. The cold and hot water tanks are reliably sealed and retain thermal capacity as long as practically feasible, thus reducing power consumption. COOL TOUCH also features an automatic equipment maintenance process.